Today was a difficult, exhausting, emotional and all around hard day for me. Coincidentally, today was also a beautiful, heartwarming, perfect and appropriate day for me and my family. This morning we were all up bright and early in order to be at the Gift of Life Family House at 8am. We continued our tradition, which started last year, to serve the guests of the Family House a meal as a way to celebrate Gavin's birthday. 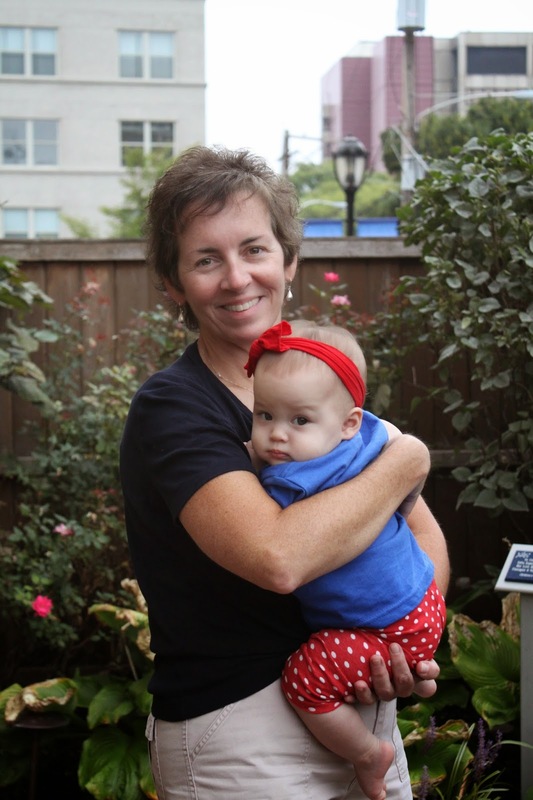 The guests of the Family House are either organ transplant patients from all over the world who are getting treatment at a nearby hospital... or they are families and caregivers of patients who are inpatient at a local hospital. To make a long story short - we were celebrating our greatest gift of life, Gavin, while simultaneously celebrating THE gift of life - organ donation - and supporting those that have been touched by the need for a transplant. Last year when we did this, I was six months pregnant with Hope. To go back a year later with her in our arms was definitely a full circle moment. Strangely, this year was much harder for me. They say the second year is tougher than the first when you lose a loved one. I can say now that this is true - at least for me. But today was extra hard on my heart because it was also what might have been Darcy's 4th birthday. It didn't help that I've been beating myself up quite a bit about my May blog post saying Darcy would have been 4 then. I screwed up. We call May 10th "Darcy's Day" because it's the day I delivered her. It wouldn't have technically been her "birthday" if she had lived. Neither would September 21st, but today was her actual "due date." I generally have my babies a month early or so - but because nothing worked out as we expected or planned, September 21st is all I have to go on. Every May 10th - and every September 21st - has been hard for me, but something changed once Hope was born. Now I understand what it means...what it feels like to have a daughter. Now I know what I was missing over these last four years. Suddenly it hurts more as I wonder what Darcy might have been like - and what life would have brought us with her in our family. But seriously - I did a whole blog post about how she would have been 4 and we would have celebrated her birthday in May - when it's really September. Who does that? Apparently, me. So, anyway... there was that. On top of Gavin's birthday. On top of lots of other stuff. What I'm trying to say with too many words? It was a tough day. Yet, I will tell you one thing. I can't think of a more appropriate way to celebrate our little boy's life than to serve those who are hoping and praying for and often receiving another chance at life. It was a privilege to be there...and a privilege to serve them. We're so grateful, once again, to Claire from HomeCooked in Paoli for not only donating the main meal...but for bringing it so we can all help assemble or drizzle or wash.
She even included Brian who, as it turns out, is an expert scone placer. 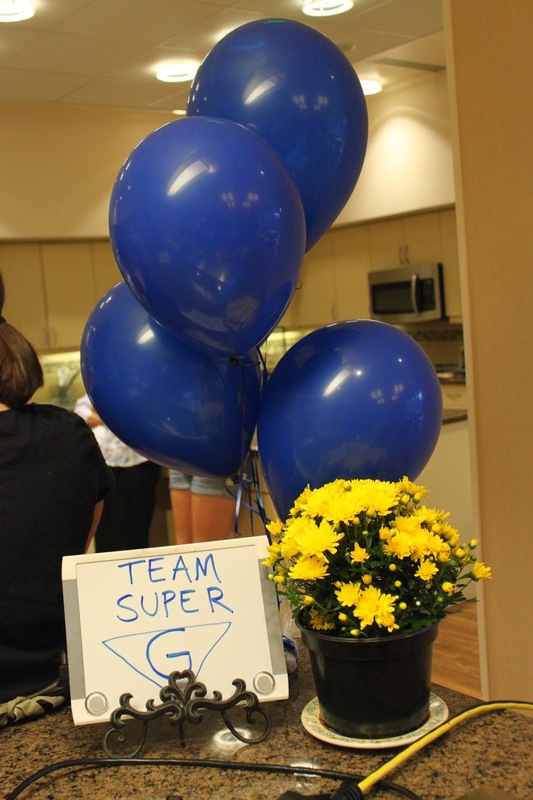 We were a pretty awesome "Team Super G!" 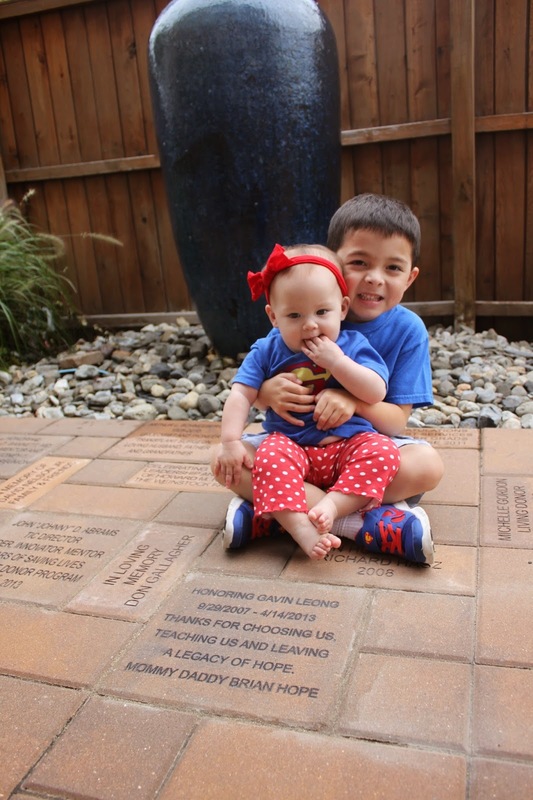 Thanks to donations from all of you to the Family House, they gave us a paver that we could have inscribed. 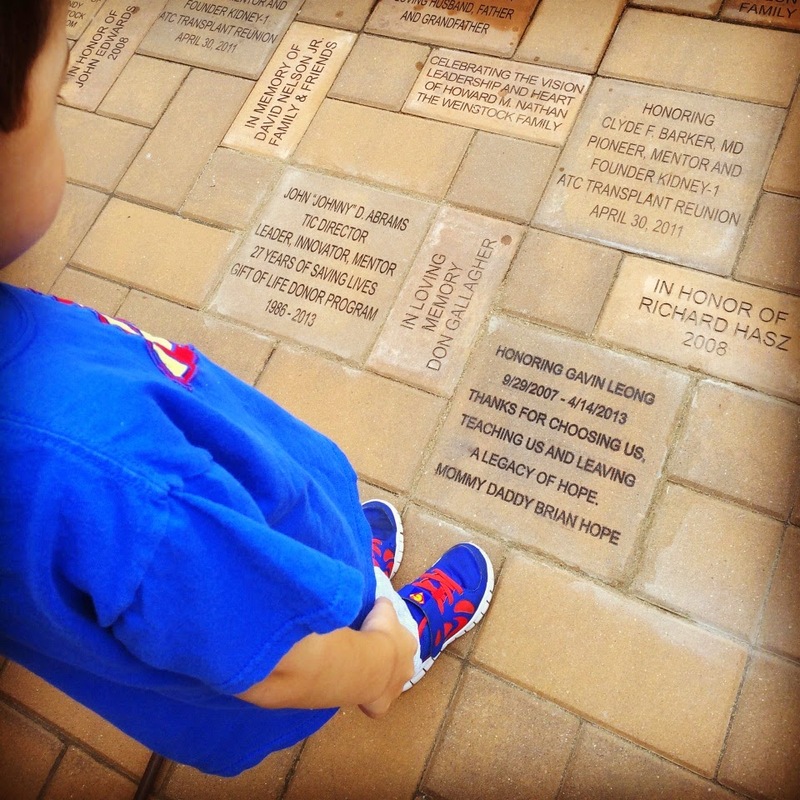 It was placed just a few days ago and we were excited to see it. The folks at the Family House knew that Gavin loved water...and that blue was his color...so they placed it right in front of a beautiful blue fountain in the courtyard - surrounded by hydrangeas. It's the perfect spot. It took me months to pick up the paper they sent me for the inscription. I wanted it to be perfect. But one day I finally realized that nothing ever is and I just wrote it. I'm not sure what it all means to Brian in this stage of his life. But I hope as he grows and grows and becomes an adult... he will come back to this house and know that his brother's life changed people. Inspired people. And he was a big part of that. As my sister, Bean, held Hope and watched her fall asleep to the sounds of that trickling, blue fountain - she told me something that reminded me what today is all about. She told me that the triplets, her two daughters and son - Shannon, Brendan and Claire - recently became organ donors when they got their driving permits. I am so, very proud of their selfless and mature decision. If you aren't an organ donor... please register. If you're in America, you can click HERE. Outside of America, google where you can register in your area. If you have a concern about organ donation - questions like "Will it wreck my appearance if my family would want an open casket?" or "Is it against my religion?" or "Am I eligible because of xyz?" 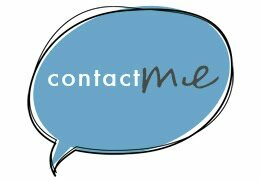 - you can find those answers and many other answers to questions you didn't even know you had on the Donate Life website. If you're already a donor, you can create one post on social media encouraging others to do the same. You're welcome to use Gavin's story if you want! 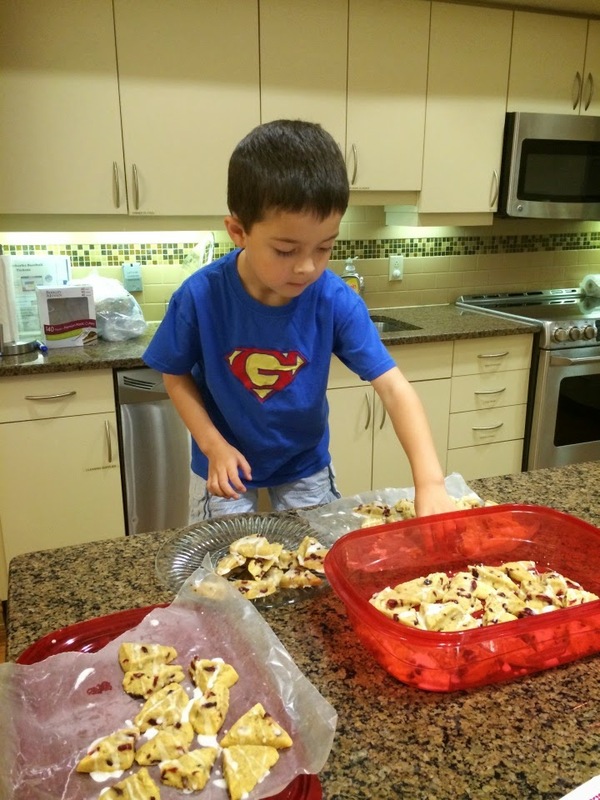 If you live in the Philadelphia area, consider volunteering with a group as "Home Cook Heros!" It's actually really fun - and greatly rewarding - to make a meal for the guests in the house. 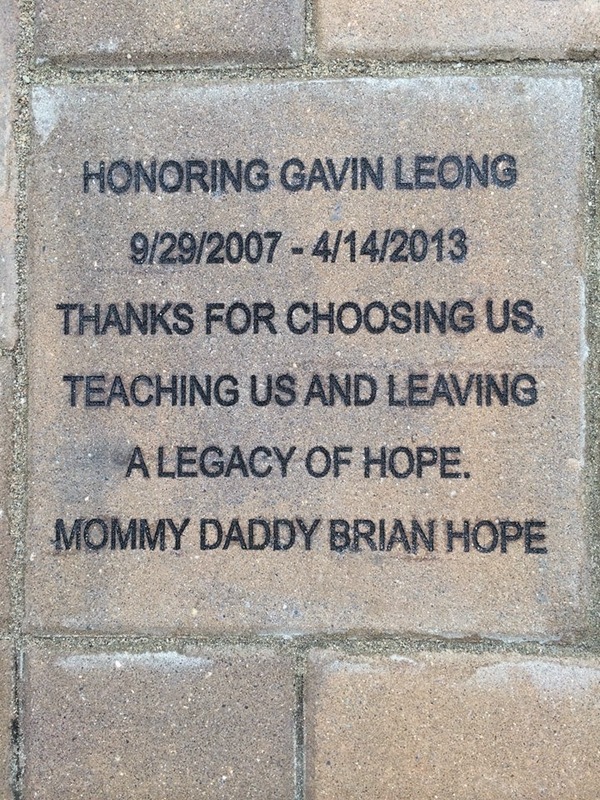 And you'll be able to see Gavin's paver...and his plaque in the entry way... and even the guest room that is dedicated to him. You could also have a "Wish List Drive" to support the Family House - as they run the house completely on donations. The last thing a transplant patient - or their caregiver - needs to worry about is running out of toilet paper... or coffee... or any of the items we take for granted on a daily basis. They can concentrate on health while others stock the kitchen pantry or refrigerators. If you do any of these things as a way to celebrate Gavin's birthday, please let me know about it. 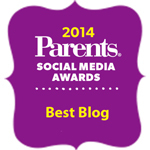 You can comment here on the blog... or post it on the Chasing Rainbows Facebook Page. Thank you, as always, for caring about our little family. 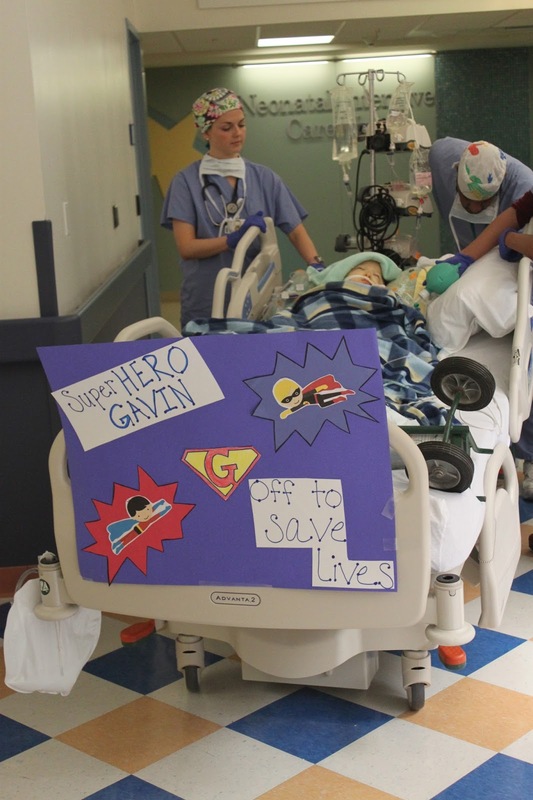 Superhero Gavin off to save lives... even still. But the first lives he saved...were ours. 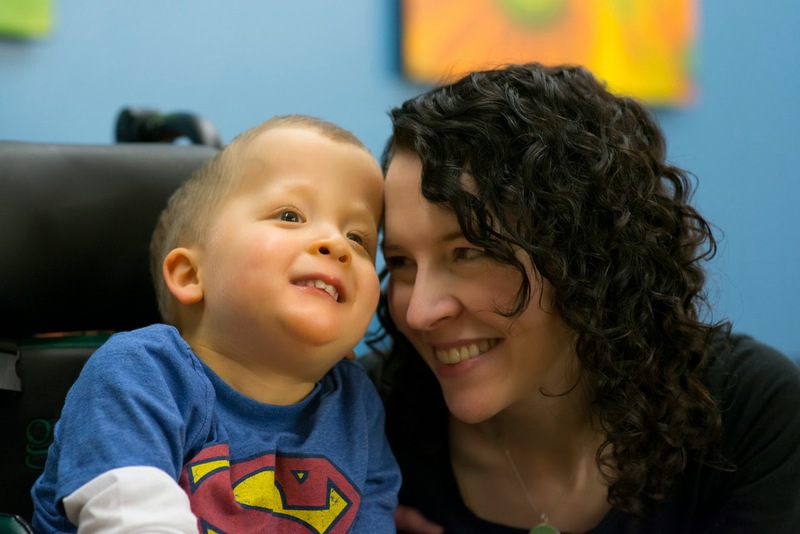 As always reading about Gavin brings tears to my eyes. Such a special little boy. Thank you for sharing him with the rest of us! I just signed up as an organ donor in my country, Israel. Thank you Gavin and Kate, and your whole family, for inspiring me! Kate, I just want to thank you for the gift of your blog. I feel honored every time I read it...and my heart is filled with love for your family. You do us all a great service by allowing us to 'walk' on your path with you and it makes a difference...at least to me. Thank you again for having the courage to share. I just recently became an organ donor (August) and it was in part because of Gavin's beautifully selfless story. Thank you for sharing your family with me. Your writing really is a git to others. 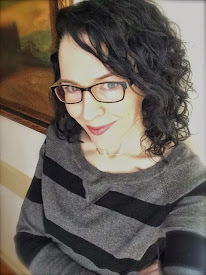 I became an organ donor 2 weeks ago in WA state - thanks for the inspiration!